Residential Flooring that looks great with long-lasting durability. 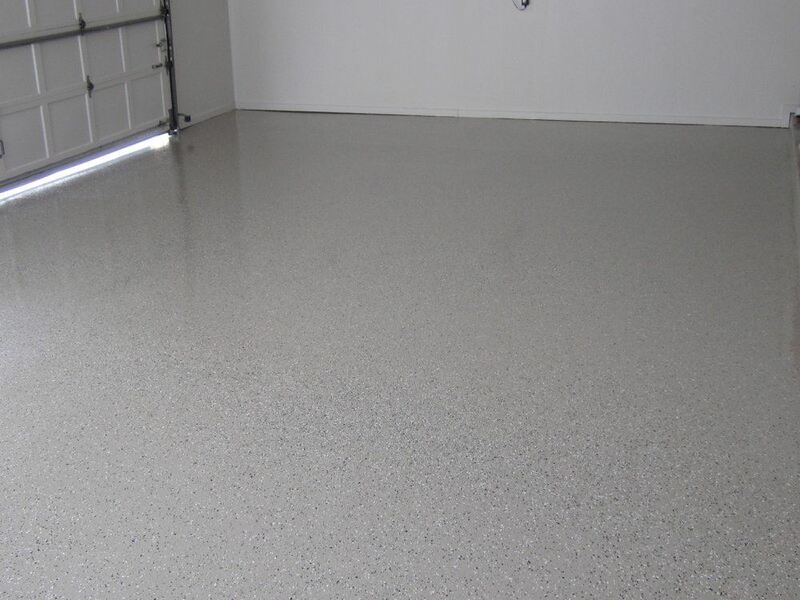 We provide a complete range of epoxy flooring systems engineered specifically for residential areas. 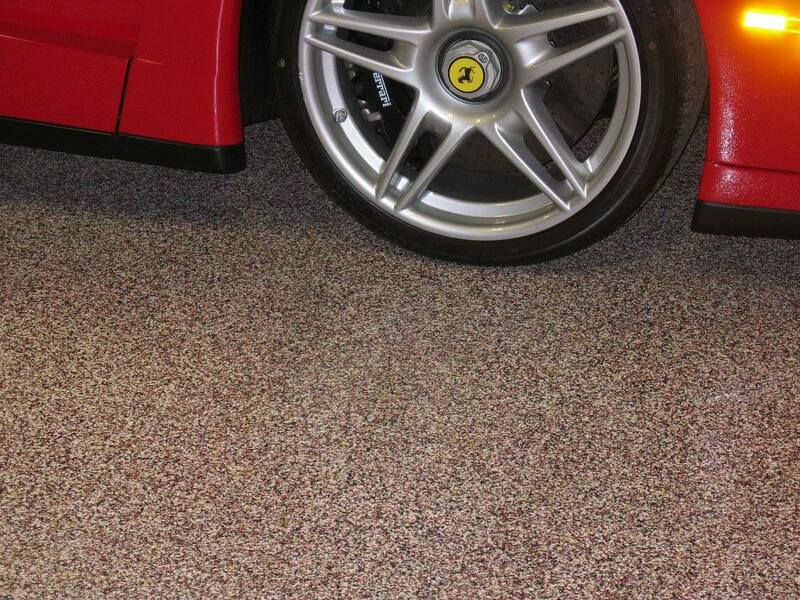 SaniCrete provides different residential flooring system designed for each client. Below is an example of our quick 2-day process that we can start for you. 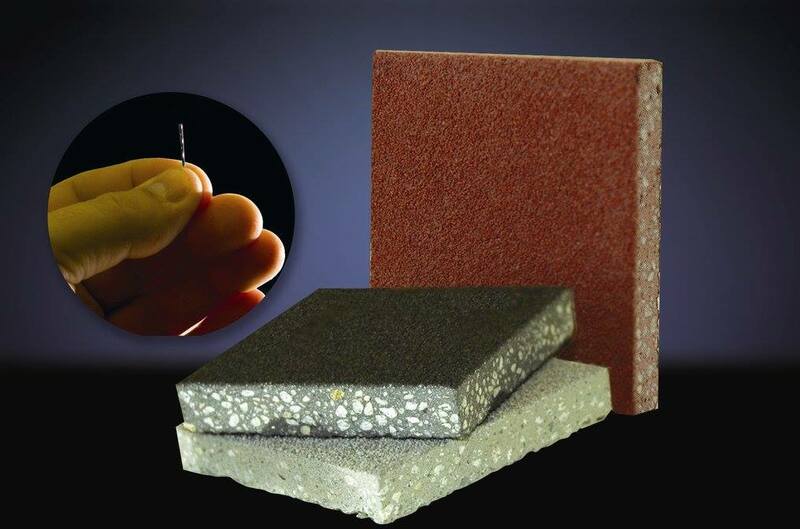 In order for our Epoxy system to bond to the existing substrate, SaniCrete dimond grinds the surface to expose the concrete. 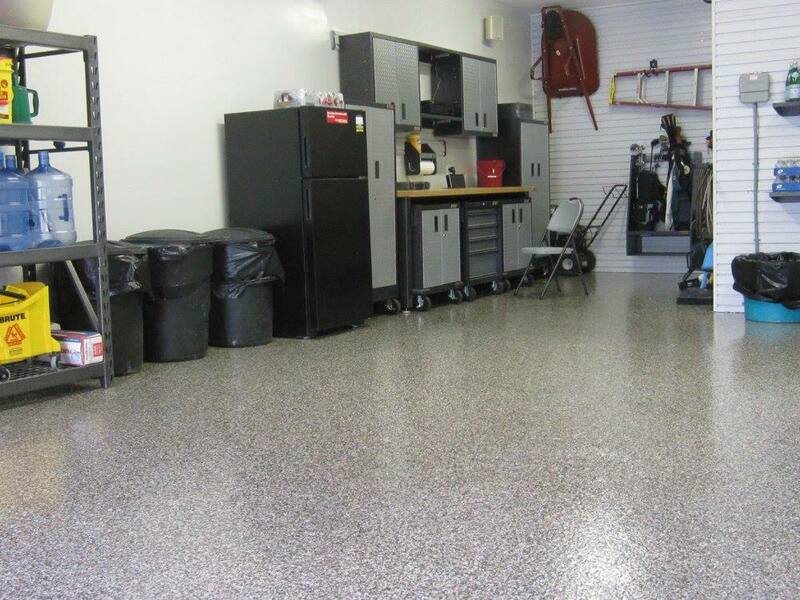 This is the most crucial step in our Epoxy Process because failed preperation leads to failing floors. 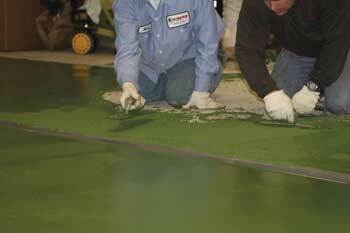 The second step of the epoxy flooring process is filling joints and cracks with our thicker epoxy mix. Seen in the photo, SaniCrete employees are fixing any dips or imperfections in the floor. Without this step, the finished product would not be "seamless"
During the final coat, flakes are thrown to give the preferred appearance. To view our color list, see our product selection page.